I highly dislike perfume. It smells froofy, old, too musky, too flowery, always wrong. 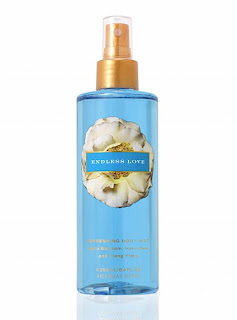 Body sprays are usually more bearable because of the fruitiness, but I never happily wore a scent until I found this: Victoria Secret's Secret Garden Collection's Refreshing Body Mist in Endless Love. My boyfriend thinks it smells like candy, I can't even put a finger on what the true scent reminds me of, but it's sweet, not too sugary, not too flowery, not too high-end old-lady perfume. Victoria's Secret describes it as: "An irresistable blend of pomegranate and apple blossom with peach and ylang ylang." Sounds quite agreeable, doesn't it? In case you're wondering, ylang ylang is also know as the cananga tree or perfume tree, and its oils are extracted for use in aromatheraphy. Olfactory bliss. I'm crazier about some of their scents than others, but below is the description list for all the scents in the Secret Garden Collection (click on the image to zoom in). 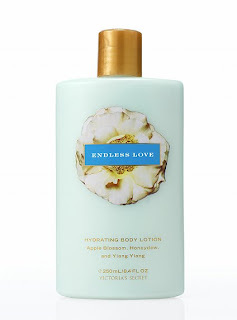 The Hydrating Body Lotion is also fantastic and very moisturizing. You can purchase these items at any Victoria's Secret or on the website. Both products are $9 for 8.4 oz. They will last you a long time! 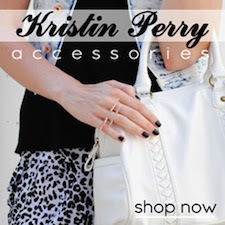 Currently, there is a sale: 3/$24, 5/$30, or 8/$35. Stock up while you can and enjoy!